"The one thing I knew was that I wanted this record to be a trip. All my favourite artists and DJs, they take the audience with them when they play; people lock into their world for a few hours and can't easily step out again. You're with them for the ride. When I go out, I want to give myself up to music. That was the idea for the album." If the main motivation whilst making Drone Logic was to take the listener on a hi-fidelity trip for the duration of his debut album, then Daniel Avery has emphatically succeeded. From Water Jump's hypnotic pulse and punch through to the crystalline click of closer Knowing We'll Be Here via the title track's elemental acid swirl and New Energy's take on Neon Lights relocated to a post-midnight cab ride through London, Avery's debut pushes and pulls at the senses and blurs the boundaries between dancefloor and home listening experience. Thoroughly modern, utterly 'now', it's a record that justifies Andrew Weatherall's selection of Avery as 'one to watch' in Time Out - adding that he that made "gimmick-free machine-funk of the highest order". Drone Logic is indeed that: an album confident enough to sit comfortably next to the genre's classics. "Although I wanted to make something very current, something that could only have been made in 2013 - I found myself going back to records like the Chemical Brothers' Surrender and Dig Your Own Hole as well as albums by Four Tet and Underworld. Records with a real dynamic; records that take you with them. None of those albums sound like 'computer music'. That was definitely something I wanted to avoid. I wanted the album to have a real life to it; it needed to be much more than just a bloke in a bedroom on a laptop making tracks." Sonically, Drone Logic doesn't really fit expected templates of what a dance record in 2013 should sound like. There are no set piece vocals; when voices emerge on tracks, they are invariably disembodied, odd. And as distortion whips across techno-based backing tracks, it splices modern club music with the kind of sounds that forward thinking guitar bands might conjure up. The result is wholly compelling, gloriously transcendent and, yes, trippy. And much like Avery's lauded FABRICLIVE 66 compilation, Drone Logic follows the path of a precision DJ set. "I always think of myself first and foremost as a DJ. I was a DJ way before I ever thought I might make my own music. I knew from the beginning of recording that I wanted it to be an album rather than just a collection of tracks. Having played in clubs for ten years, I have a feeling of how dancefloors work and change throughout a night. And there are definitely tracks that I've made with certain dancefloors in mind. The album's opening track Water Jump was made 100% to be played in Fabric Room One. The sound of it, the way the breakdown works… it was recorded with the space, the system, the lights and the people that fill that room in mind. On the other hand, there are definitely tracks made with the small room in mind, the two hundred capacity club with one strobe and a smoke machine working overtime…"
Just as Avery's relationship with Fabric – he has been resident there for the past few years – and with playing at low key, sweatbox parties like Weatherall's A Love From Outer Space have proved hugely inspirational, so too were bleary eyed nights spent listening to late night radio. "Growing up, Mary Anne Hobbs' Breezeblock was such a big show for me. She'd be playing all of this mind-expanding stuff especially around the time of Death in Vegas, Aphex Twin, LFO, XTRMNTR-era Primal Scream, the things Trent Reznor was doing. A track like Free Floating, although it is predominantly a club record, it bursts into walls of noise. It's definitely not meant to be 'rock meets rave' but a big turning point was when I started using guitar pedals in the studio. The hynotic repetition of Krautrock, the beautiful drone of My Bloody Valentine and Spacemen 3 while still having all the elements that I love about great techno records. That's the balance I tried to keep with the album." Another important factor in the make-up of the album is Avery's partnership with "kindred spirit" Erol Alkan. Just a few years after losing himself on the floor to his club sets at Trash and Bugged Out, Avery signed to Erol's increasingly impressive Phantasy label and began mixing Drone Logic in the DJ's back garden studio. He joins a roster that includes New Zealand's premier psychedelicist Connan Mockasin, Brazilian lo-fi artist Babe, Terror and Future Four, Erol's new production duo with Emperor Machine/Chicken Lips man Andy Meecham. "I'm really happy to be a part of Erol's Phantasy set up, I think it's a key label at an incredibly exciting time for dance music. The whole album was made on analogue equipment. There are also a lot of live drums on the record. I love the energy, the dustiness and the random things thrown up by doing things that way. Working closely with Erol has been integral to the sound of Drone Logic. Everything he works on has an undeniable pulse to it." So. Tipped for great things by one of dance music's most revered legends. Main room resident at arguably the most cutting edge club in the UK. Working side by side in the studio with a longtime DJ influence. Tracks being hammered across the board by figures from Richie Hawtin to Maya Jane Coles, Factory Floor to Berlin's Innervisions family, Ivan Smagghe to Gesaffelstein. And now the presenter of his own monthly radio show on Rinse FM, somewhere where he has the chance to air records from a myriad of inspirational artists across countless genres while also grabbing guest spots from musical heroes both old and new. 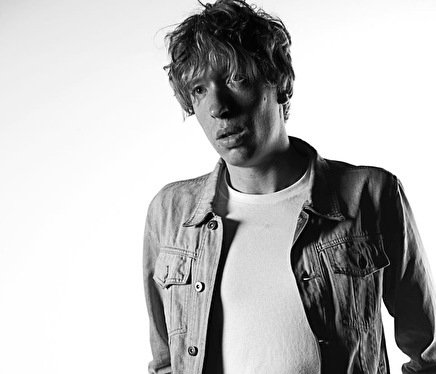 One might almost think that Daniel Avery is leading some kind of charmed life. One spin of Drone Logic should be enough to tell you that all these plaudits are backed by huge, visionary talent. Whatever happens next… that's going to be the real trip. De rockster onder de dj's, Daniel Avery, komt nu met zijn nieuwe album, genaamd 'Drone Logic.' Eens kijken wat dat gaat brengen.